It is said of Ginger Rogers that she did everything Fred Astaire did, but backward and in high heels. Similarly, Berthe Morisot did everything her fellow French Impressionist painters did, but in a corset and with a chaperone beside her. An exhibit at the Musée Marmottan (on view until July 1, 2012) reveals her massive talent, which she exercised in spite of the limitations placed on middle-class women in the late 19th century. She was excluded from the Ecole des Beaux Arts and had to take private lessons. She could not hire models, at least at first, so her subjects were family members and friends, mostly women. Painting in the open air usually meant painting in the family garden, since she could not wander too far afield on her own. And of course, she could not hang around in cafés with other painters late into the night, talking about art—but perhaps that is why she was so productive. Nevertheless, she persevered in creating light-filled canvases of the scenes around her and developing the technique of capturing movement, texture, and reflections with quick brushstrokes of color. 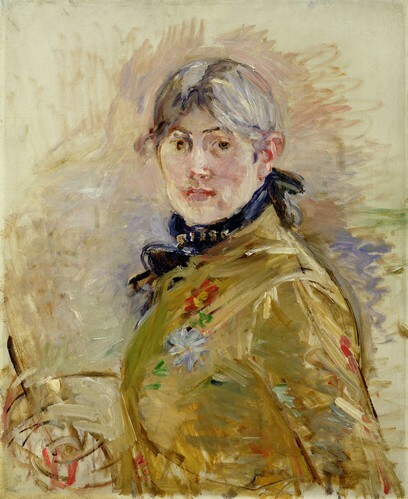 A self-portrait by Berthe Morisot. The exhibit, which brings together paintings from major galleries as well as rarely shown works from private collections, is a must-see for anyone who enjoys French Impressionism. It also provides fascinating insights into the life of a woman painter ahead of her time. 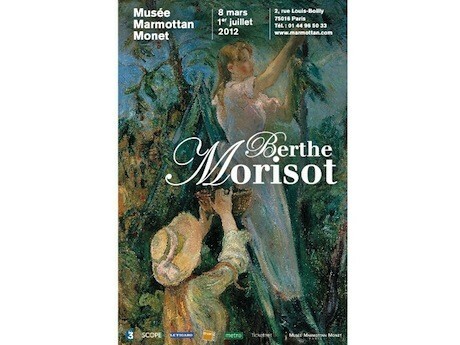 For example, the exhibit contrasts Berthe’s self-portraits with portraits of her by Edouard Manet. In the former, she shows herself in later life as a hardworking artist standing at her easel, more concerned with her work than her appearance. 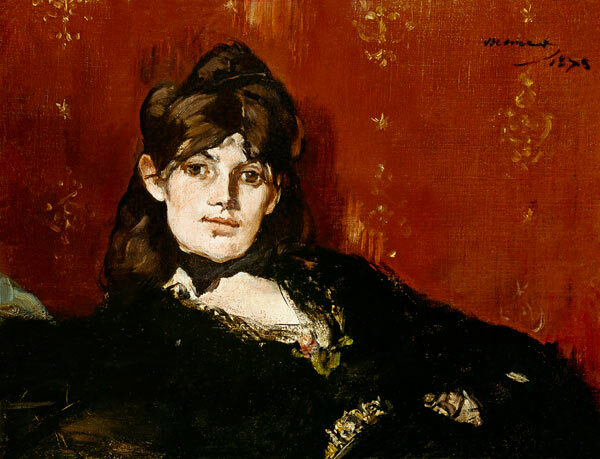 Manet portrays her as an alluring young woman with dark eyes and full lips, reclining provocatively. The contrast could not be stronger. The sequence of pictures of her daughter, Julie Manet (Berthe married Edouard Manet’s brother Eugène), is an extraordinary view of a child growing into a young woman, seen through her mother’s eyes. In photographs, Julie looks like a typical French girl, the sort you still see on the Metro, with long brown hair and full lips. In her portraits, she is created out of light and color, reading, playing, or daydreaming. In today’s busy, fidgety life, this exhibition witnesses to that long-gone sense of languor and dreaminess. It is also a testament to a disciplined French Impressionist artist who did everything that her male colleagues did, but under much more restricted conditions. 2, rue Louis Boilly, in the 16th Arrondissement. Open Tuesday through Sunday, 10 a.m. to 6 p.m.; Thursdays until 8 p.m.
Philippa Campsie cowrites the blog Parisian Fields, which covers everything from contemporary street art to Paris history. Editor’s note: What’s the smartest thing to buy before your trip to Paris? Why, the Girls’ Guide to Paris membership card, of course!